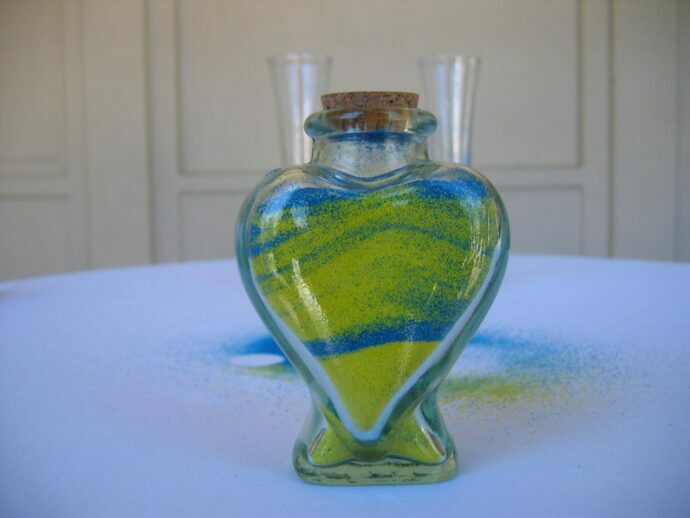 This was an adaptation of a native American wedding ritual, where two containers of sand are poured together to signify the joining of two lives into one. I want this pic!! It’s sooo cool!!! !